Is your business struggling with low conversion rates? To be successful in business, online or offline, it basically comes down to 2 things. You need to be able to get leads (potential customers) and then convert them into buying customers. 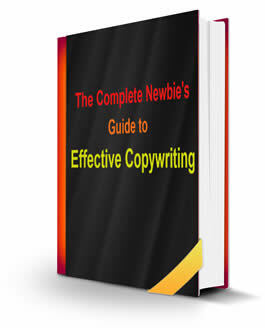 This free ebook ‘The Complete Newbie’s Guide to Effective Copywriting’ will help you turn your potential customers into buyers more effectively so you won’t be wasting your efforts in getting those leads in the first place.